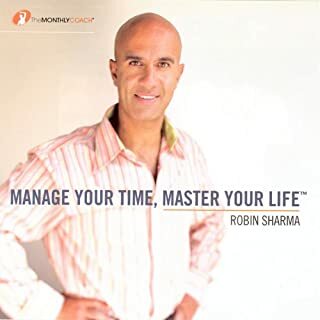 Author Robin Sharma reads this international best-seller, allowing you to gain the wisdom and lessons from the original book while you commute. 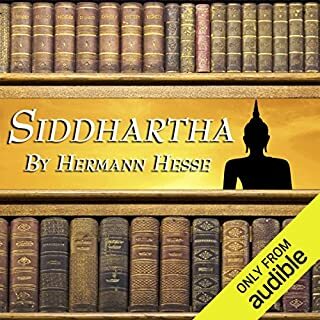 This abridged audiobook is one of Sharma Leadership International's all-time best-selling audio products. Nothing new that you know you haven't applied! Finished at 1.25x. Easy listen. Finished in 2 hours. Incorrect definition of Dharma used. Practical tips. Excellent fable to remember everyday! 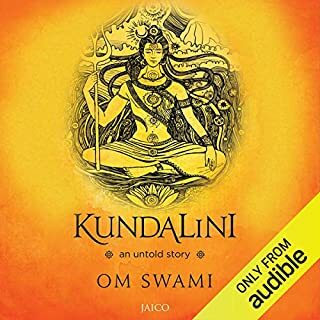 I had read this book almost 5 years back and revisited it in Audible. I happened to listen it at one go. I am still finding it so interesting and life awakening to listen to this excellent work of craft! The fable in the form of story will always remind you what exactly to do to live a master life. I love Robin Sharma and will keep loving him till inception for the great work he is performing! 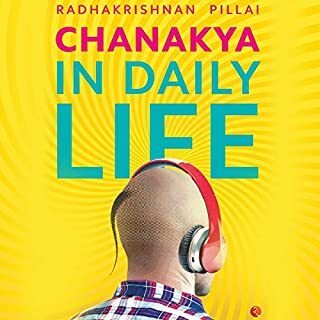 Must to hear audio book for all those who are behind money and workaholic. I am thinking to present hard copy of this book to few of my friends who fall in above category. Will read it again and again..... it's very very enlightening worth sharing to other. Do recommend such books. It's an amazing book, describe how a over busy professionals neglect their health, family, joy in life and moreover goal. in life. Write your goals on paper, say no to unnecessary things. "Happiness is a journey, not destination"
Awesome book. Well narrated by Mr. Sharma. Beautiful quote, "Happiness is a journey, not destination"
This book literally changed my life. I have already recommended it to all of my friends and family. The best quote was "Truly enlightened people do not seek to be like others, but rather a better version of their former self". Something that I know that I was very guilt of. What would have made The Monk Who Sold His Ferrari better? Though the story makes you realize that the daily mundane things aren't what your life should be about, and that you need to always remind yourself of the important things in life, to me the story was presented in a conventional and maybe not so interesting way. Would you ever listen to anything by Robin Sharma again? It voided me of patience. The events and the discussions were very predictable, nothing new and engaging. I expected to be uplifted like I was after listening to his ebook on leadership. This one came across as a poorly written outlandish lie which was trying too damn hard. This might be a stretch, but even Dan Brown writes better than this guy. I was mislead to believe this book would be serving a hefty helping of inspiration and perspective. The only thing Audible should be serving in this case is a refund. What a bore... Save yourself the trouble and avoid this steaming hunk of literary excrement. I have heard about this book on many occasions over the years. Many writers I like have told that it is a book they have read. Now I have listened to it and I didn't enjoy at all. 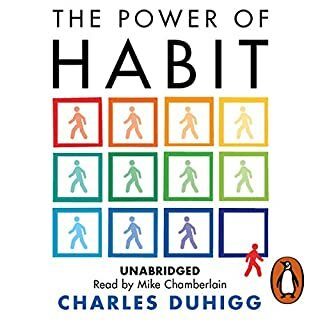 Very short, if you haven't read any other self management book or anything similar to it, i might work for you. But for me, it was very shallow and there was nothing new at all. It is a nice idea to make it into a story or fable and not just an instruction manual but I don't think it works. 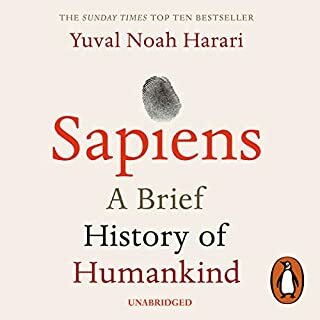 The narrator does a good job but I would recommend anyone to listen to another book. There are plenty. Try some of the free stuff of Robin Sharma which is quite good, but this really was not worth the time. Would you listen to another book narrated by Robin Sharma? Yes, some of his stuff is good. 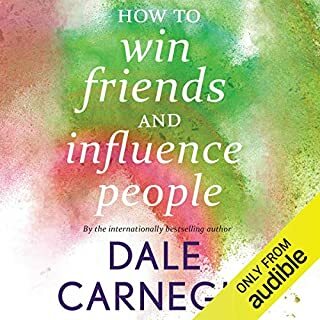 There is a free audio book on audible which I highly recommend. If you could play editor, what scene or scenes would you have cut from The Monk Who Sold His Ferrari? The part about the monk who sold his Ferrari. 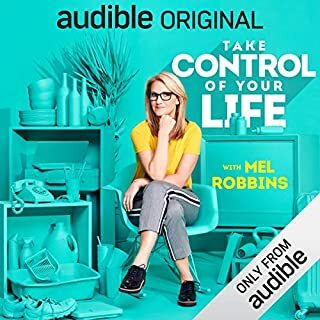 I purchased this audio book after listening to Robin's free book on leadership (a book that I highly recommend you do listen to). 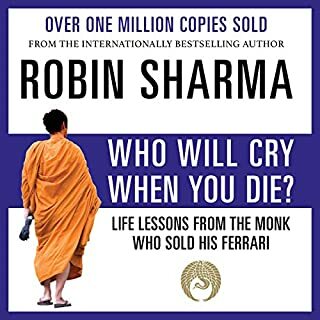 Although The Monk Who Sold His Ferrari is packed full of interesting and useful ideas, I found the story to be simple and the dialogue to be almost anoyingly so at times. 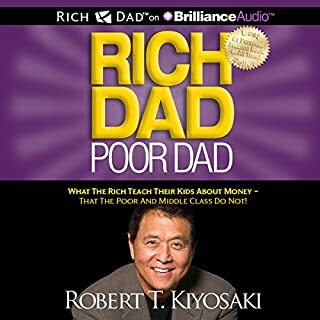 Still well worth the time to listen too and draw upon; however, the book failed to demonstrate the maturity of Robin as the presenter he is now. Great book. Will open your eyes to life. Also if you are from India, it brings back the old memories what our parents have taught us and things what we forgot about life. Love this book. and I am pretty sure any one listening will also. I found this book profoundly disappointing. Take any self help book focused on "ancient wisdom of the east" and you will have the meat of this book. Next place it in the context of a story that is so completely hackneyed that it distracts from the message. Finally, add a narrator that uses a voice of "breathless wonder". The result is painful. Nothing in the book is actually wrong. 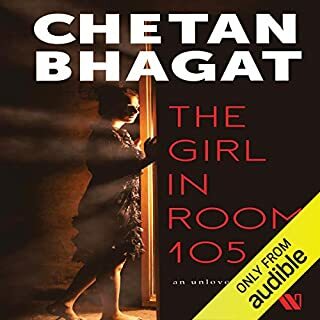 It is just that Sharma could have actually written an enjoyable simple story with real characters and then illustrated his points by having the characters try (and perhaps sometimes fail) to pursue the goals using the techniques he touts. The patent unbelievability of the story; a man who is grossly overweight running at 17,000 feet to catch up to a mystic monk who no one can find but somehow he finds in a week, the friend who has a family that is only mentioned in passing and is conveniently gone during the all night training session, the mixing of meditation techniques with modern neural theories and social shaming and presentation of this as ancient wisdom. I found myself gritting my teeth. Perhaps the worst part is the idea that this miraculous change is somehow easy to accomplish. It came at a great time for me and was needed! 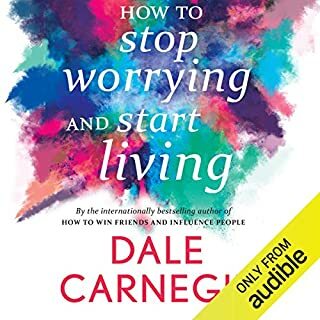 This audio book came at a great time for me and was well needed! I recommend it to others. Would you recommend The Monk Who Sold His Ferrari to your friends? Why or why not? Who might you have cast as narrator instead of Robin Sharma? 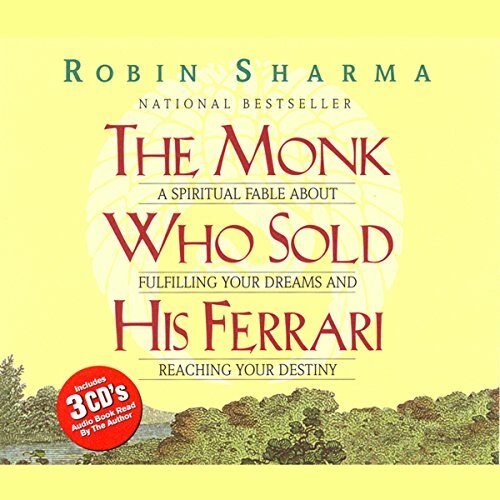 Did The Monk Who Sold His Ferrari inspire you to do anything? For a quick life make over, it’s a must! What did you like most about The Monk Who Sold His Ferrari? I was recommended this book so I thought I’d give it ago and I’m glad I did. It very easy to listen to and makes some great insightful points in a very short space of time. It’s a motivation story and applicable without being dictating. It found it really makes you think about life and the choices we make be in an enjoyable way. I found Robins voice very easy to listen to, manly and not a single patronising tone. You could easily listen to it again and again. I would recommend it. Not even worth one credit. I have to agree with the 2 reviewers. It doesn't deserve not even one star. The book is very shallow and the author makes unfunny silly jokes. I really wanted this book to be over. The premise of this book is great. A high flying, fast living attorney has a heartache and wakes up to the fact that he has to change his life. He searches for the secrets of happiness, contentment and personal enlightenment. After he finds the answers, he returns to impart this new knowledge with others - the first being the author of this book who used to be his protege. The parables and metaphors are engaging and the lessons being taught are valuable and insightful but oh my God I found the author to be so irritating. 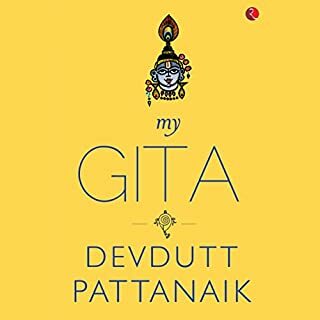 The subject of the book is about finding enlightenment and he constantly makes unfunny stupid jokes that you find yourself constantly cringing at. And even the 'monk' thinks his jokes are ridiculous. Unfortunately I found myself wanting this book to be over as quickly as possible because the awkward jokes and silly statements and questions posed by the author were really getting on my nerves. So purchase this with the knowledge that you might finish it with a feeling of relief thinking 'thank God that's over'. This story is proof that a non-violent story can be entertaining. I enjoyed it immensely. good book, its easy to understand and uplifting. not to long and gets to the points quickly. Goes straight in my top 5 easily. 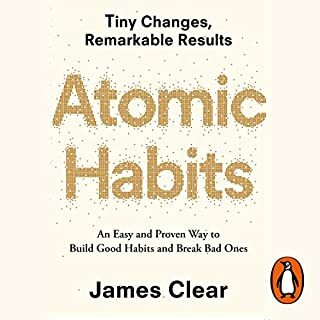 Some really good practical advice backed up by examples to help shift perspective. Would highly recommend! 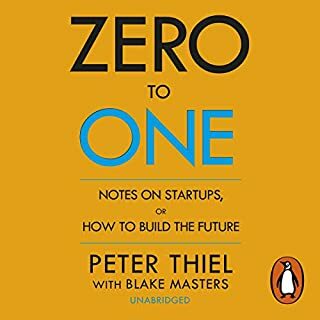 An amazing story with truly inspirational and inspiring ideas. Robin Sharma has once again delivered a brilliant story( I read the leader who had no title first). Thank you Robin. This book was amazing - my only regret is that I didn't ready this earlier when first told about it ..
A great book. 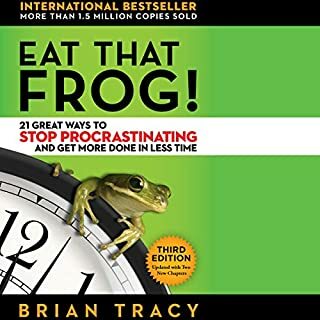 If you are looking to improve your life, look no further than this book. You can implement the simple things from this book into your daily life to find the happiness you are looking for. It's that easy. Happy reading. 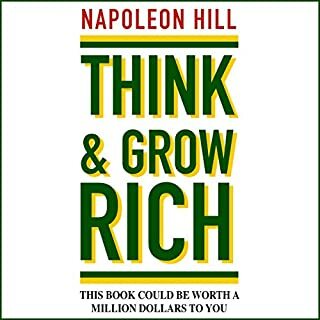 Only read if you are serious about being fulfilled and changing your life. Once you read this bool you will seek peace fulfillment and happiness daily. i was expecting this to be a spiritual book but it was more of worldly inspiration. 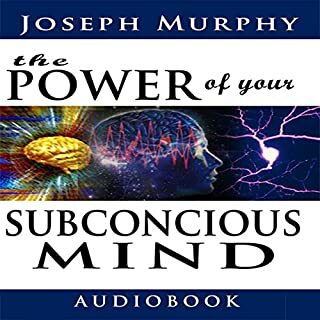 Enjoyable listen to an enlightening story. Nice to be reminded of why we are here, what's important & what our purpose is. Very good narration. Teaches you simple practices that can improve your life. Would recommend to all. This bool Totally blew my mind. Life changing to say the least. Totally recommend to anyone trying to get somewhere in life.